Spurred by this article on MOOCs taken hold in Hong Kong, I decided to do a survey on MOOC adoption by Chinese institutions. 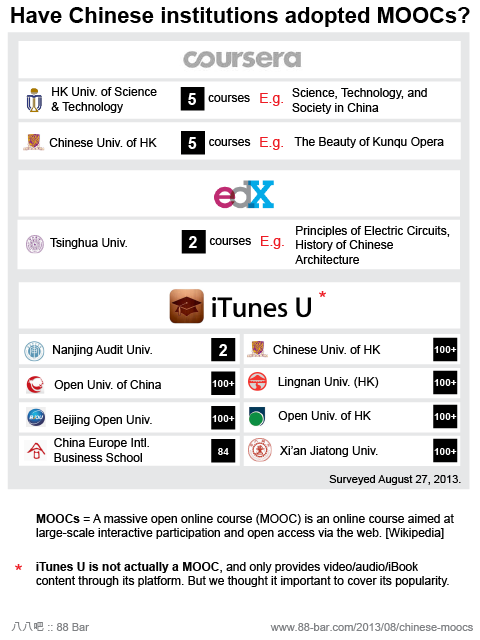 I did not, as you can see, survey any Chinese MOOC platforms (are there any? ), so it’s a bit of a biased selection.